What happened to the tacos? Students at Disney II Magnet School in Old Irving Park got chicken al pastor tacos in the lunchroom after engaging in lessons on immigration and cultural fusion. The program was sponsored by Chicago chefs and was supposed to be offered to all Chicago Public Schools last Thursday, but some say the food didn’t get to their schools. Last week WBEZ reported on a special taco meal that was supposed to be served in every Chicago Public School along with optional lesson plans about the kind of cultural fusion the taco meal represents. The meals and lesson plans were organized and paid for some of the city’s top chefs who have formed a group called Pilot Light. But WBEZ has heard from staff, parents and students from several Chicago Public Schools that the meal never arrived Thursday. 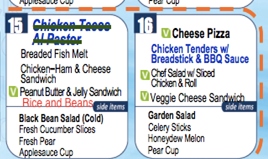 One even shared the school’s Thursday lunch schedule, on which the taco meal was crossed out and replaced with another dish. Another complaint came from Hyde Park parent, William Mitchell, who intentionally sent his son to school without a lunch from home that day because he’d heard the WBEZ story. But when his son got home he said they never got the meal. Mitchell said his son later told him that they ended up serving a taco on Friday. Still, when WBEZ brought the multiple reports to CPS officials this week, the district would not say how many schools actually did or didn’t serve the tacos on Thursday, or at all. Nor did it say what happened to the donated food and money if the meals didn’t reach all the schools. 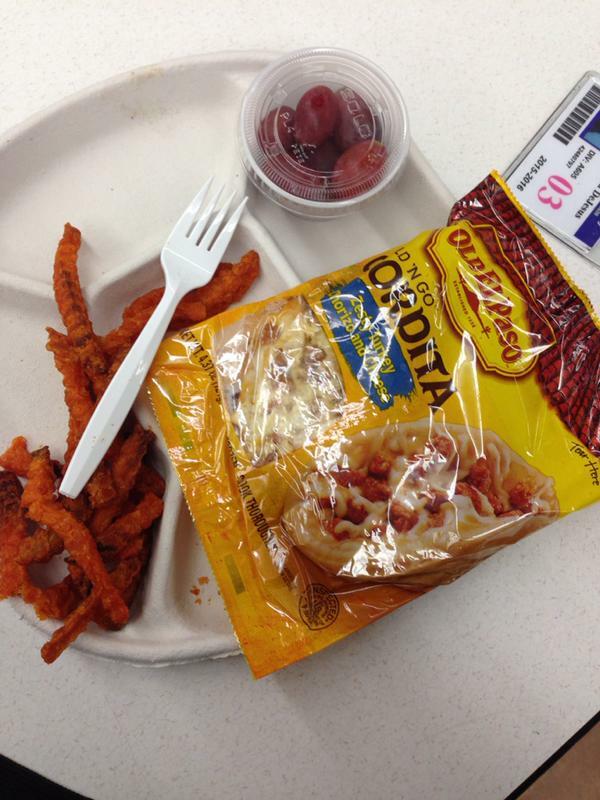 One student noted that there could have been some confusion about tacos arriving later because Old El Paso gorditas, served in plastic bags, were served to CPS&apos; high school students for lunch on Friday.